You probably thought I forgot. Well, I didn't! Here ya go fellers! Beautiful photos- I can't wait for my holiday! Yes, update more. Love your blog, darling. God! I don't know how I end up here but I'm from that great great city call VIGO! It's like San Francisco. Hate IT!! These are amazing! I recognize the last picture too from my Art History class. What a fabulous trip and great photography. Not to mention, you are sooo pretty. Looks like you had a blast--you have a great smile! beautiful pictures, love your blog ! You look really cute on the first picture. And those places are fantastic! I'm not a member, are you? I mean, can you invite me? I want to go to lisbon! Lucky you, I havent been out of the country for so damn long! Great pics that make me wanna go on a trip. beautiful photos ! what camera do you use ? Fabulous pictures. It looks beyond stunning. I have Portugal very near but I've never been there... I know I have to go! wow, gorgeous photos. i especially like the one of the long pond(if that is what it is). Oh my goodness - these photos are spectacular. I love seeing these beautiful parts of the world, someday I hope to get over and see this incredible architecture! Hope school is going okay! just gorgeous. i want to visit. you are soo stunning, i love these pics, soo lucky!! Thank you, love. What a wonderful idea. I will submit it now. I hope it works?? PS: Can't wait for your next outfit post, darling! 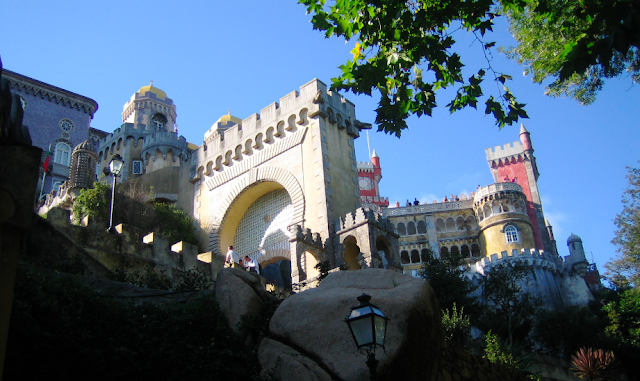 Oh, Lisbon looks so beautiful. I really want to go there! No Oporto pictures?! 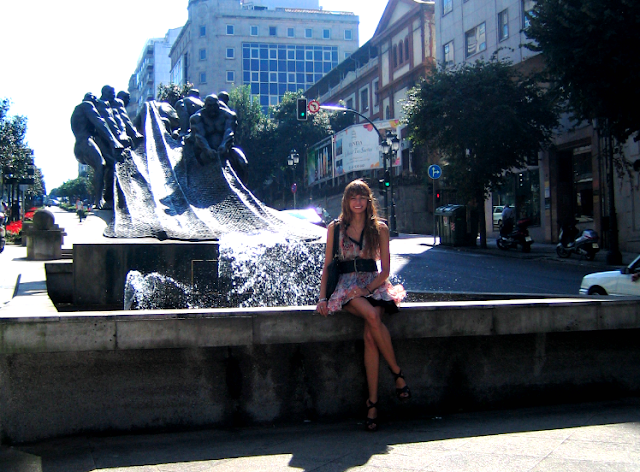 I love Oporto...it's a wonderfull city!! ahah...i'm from there obviously!! i want to go back to portugal so badly after seeing these photos! When I opened your blog I wasn't expecting pics from lisbon at all!!!! I'm from Portugal! It's a lovely country.